Monique Griffith Designs: DVD Review: Above Rubies Studio "Cricut A-Z"
So by now, I'm sure most of you have heard of Above Rubies Studio, and the DVD that they put out, "Cricut A-Z". Well, a couple of weeks ago I had not yet viewed this DVD, but kept hearing about it and wondered what all the fuss was about. When I went to CHA recently, I got to meet Megan Gravener, the Creative Director of Above Rubies Studio. Not only did I get to meet her, but we got to spend some time together and I have to say that she is fantastic - very sweet, down to earth, hard-working, and thoughtful. And fun to hang out with too! I asked her if she would mind if I did a review of her DVD, and not only was she kind enough to give me a copy, but she also gave me a couple of extras to give away as blog candy. Woooohooooo!!!! I love being able to give you guys some free stuff now and then!!! To enter to win, just make sure you're a follower of my blog and leave a comment on this post and let me know what you think of my review - or what you think of the DVD if you've seen it. Be sure to leave me your email address or your messageboard name so I can reach you if you win. I'll draw the two winners Monday morning, February 8th, at about 10am pacific time. I may be the last one in on the secret, but yes, it's true - this is a great DVD!!! I've been teaching Cricut classes for over 2 years now (and a Cricut user since it first came out), and I can't even tell you how many times I've met people who are just taking their Cricut out of the box for the first time. And yet, it's always been impossible for me to have enough time in a class to actually cover everything that somebody needs to know to get the most out of their Cricut. The cool thing is that, because this DVD is soooo comprehensive, it's actually perfect for that just-out-of-the-box Cricuteer, all the way up to the advanced user. It pains me to admit this, but I even learned a few things! "Cricut A-Z" really does cover everything. There are several different chapters to choose from, or you can just play the whole DVD and soak it all in like I did. But in the beginning, she literally goes through all of the basics like where to plug your cord in, how to turn your machine on, how to change your blade, the dials, functions, modes, creative features, you name it. And I have to say that I love the close-ups!!! The production is fantastic, and it's incredibly helpful to see a perfectly steady close-up when learning how to do such detailed processes. One of the most frequent comments I used to receive when I taught my basic Cricut 101 classes, was that people were thrilled to finally learn how to use the booklet that comes with each cartridge. Many people had no idea that there were so many extra images on a cartridge that you can't see when just looking at the keypad overlay or even the back of the box. You've gotta make friends with that booklet, and Megan does a great job of showing how that works with close-ups and examples. That right there will make it worth the money if that's something you don't know how to do!! Besides the basics, which an advanced user still may want to brush up on, there's plenty of meat for us die-hard Cricut addicts. She shows how to do several different "out of the box" Cricut techniques such as making your own stamps and your own Cuttlebug folders with your bug. Plus I personally really enjoyed seeing how to use "Shrinky Dink" material in the Cricut, and then what on earth to do with it next. Very cool - I'm totally going to give that a try! And once your brain is good and full, there's a fabulous Project Gallery section with tons of creative ideas by different designers, along with a "recipe card" to go along with each one so you could easily scraplift and put your new skills to the test. So, in case you're still wondering what I really thought of this DVD... it's awesome!!!! Rave, rave reviews, 2 thumbs up, encore, flower-tossing, the whole bit. I will be recommending this to all of my clients, and consider it a must-have for every Cricut user!!!!! Now we've just gotta convince Provo Craft to include a copy with every Cricut!! Be sure to check out the Above Rubies Studio website HERE. Or go directly to THIS page of the website to order your DVD. Btw, they will soon be coming out with a Gypsy A-Z DVD. OMG, how COOL is that????? I'll be first in line to get it!! I've been wanting to get this DVD. Great review makes me want it more. Wow, I'm really excited to hear that because I didn't know if I was too "advanced" (using that term loosely!) for this CD. Now I really want to get it. Thanks Monique! Wow am I the first to post..With your reccommendation I will probably purchase unless I win one LOL....thanks for all your creative projects and reviews. Thanks for the review. It is nice knowing what you think before spending the $$. I have considered buying but a little nervious not knowing how it was. Thanks for a chance to win! I'm already a follower..love your blog! I love your creations!! They're amazing!! Thanks for your review! I have been feeling like there is more to this cricut then I already know! I am still pretty new. I finally watched the dvd it came with after 4 months of having my expressions and even that showed me a few things!! I have to admit I am VERY excited for a Gypsy A-Z!! I can weld words but I know for sure I have a lot to learn with Gypsy!! Thank you for posting this review. I am a new cricut owner and am having fun using it with a couple of your kits. You're designs are so wonderful! I have been curious about this DVD but wasn't sure if it was really worth purchasing. You review definitely helped me decide. If I'm not lucky enough to win one, I'll have to buy one. Thanks! thanks for the review. looks like some great information! I have heard nothing but good things about this DVD. I want one especially since a pro like you learned something from it- I am sure I would learn lots!! Thanks for the great review!! Where was this DVD when I first got my Cricut??? Sounds like it would have saved me a lot of time (and paper). Great review, I will be buying this DVD now, if I don't win it that is. :) THanks for the chance. Hi "neighbor" don't think you're too far away from me - (I'm in Redding) great review - thiis is something I need to get - thanks for doing this. Boy, could our scrapbooking group (The Scrappin' Sisters) use this DVD - we have a couple of us who have been using the Cricut for several years and 4-5 who just got their Cricuts - thanks for the review and the chance to win!! OMG I have to have this dvd. Thanks Monique for your fabulous review because I have never heard of this dvd and now I have to have it. Thanks for checking out new products for us. It leaves a lot of the guess work out. Thanks for all your help and ideas. I think you did a great review! I think it's important that this DVD is good for the 1st time users to the advanced users. There is something new for everyone to learn! Reading what you had to say about the D.V.D. I really want one.I would like to win it if possible, but then I never win anything.Thank You for the chance, AnnaJ. amjones56@hotmail.com. Ok-Love her(she is super cute and has a heart of gold)the video. I cannot wait for the Gypsy DVD. Monique will be first inline and I will be second. Don't include me in the drawing. I would love to win this DVD. thanks for the awesome review as I have been reading about it! This DVD sounds great! I hope I win a copy! Great review! I was wondering how good it really was. A Gypsy one is really needed. You can't go over everything in one 2hr class. Monique, great review. You're making me want to order the DVD. I'm a follower and I noticed your from Rocklin. I'm in Fairfield and would love if someone close to me gave classes and such like you do. Sounds like a great job. This is exactly what I need. I'll have to buy if I don't win, so here's hoping I win. Now I need a great how-to DVD on Design Studio. I'm just not getting that puppy, but I probably need to spend more time with it. I love the way you used the bold font in your review! It really drew in my attention and made me really look at the bold words. I'm sure you know that I was the crazed lady who posted about dieing if I won one of the dvd's. Like I said, I would be so shocked if I won, and would use it all the time! Thank you for the awesome review!! This DVD sounds exactly what I am looking for, I know there are so many features that I don't know how to use, and with your review I know that it is a thumbs up. Thanks Monique. Thanks for the great review. I have been on the fense about getting this because I was afraid that it would be all basic stuff I already knew but after your review, I am going to order it. Thanks! Me, me, no pick me.... Brandy L.
Thanks for the review, I hope I win! This DVD sounds awesome - and I can't wait for the Gypsy DVD too! Thanks for the info! I really appreceiate your review. I can say that as a Cricut advanced user, I was skeptic that it wasn't a good choice for me. You have convinced me otherwise! Every other time I have just skipped over this product because I thought I know how to do that. Thanks, Monique ... due to your recommendation we are all going to have to purchase this DVD! You've convinced me that I need to see this DVD now. I figured all I knew all I needed to about using my Cricut, but I quess you can never know enough! I loved the review. It REALLY makes me want the DVD now! Hopefully I win!!! If not I'll probably be buying it soon! Wow! Great news. I’ve been wondering about this DVD but didn’t know too much about it. Thank you so much for the review. Sounds like a GREAT DVD. I’ve had my cricut for over two years now and I still end up throwing paper in the trash or having to always pre test everything (which takes up way too much time). Thank you so much for a chance to win. I can't wait to get the video and see what you have raved about. Thanks for the imput and would love to win it! That is a great review. Now I really must get this DVD. thanks for the review! I'm gonna have to add this to my must have list! Great review! I have been dying to know what this DVD covered. Thanks for your review. I hope I win! Gerry. glbourn@gmail.com P.S. where do I find your class schedule? Awesome review!! I have been looking at the videos on her website for a couple of weeks and was wondering about the DVD. Thanks for sharing your thoughts with us. I had looked into their site and was thinking about ordering, now I just hope I win so I can get it for FREE!! thanks for the review and blog candy. Thank you for reviewing this DVD so I can feel very confident buying one since I know it has passed your scrutiny! I'll be keeping my fingers crossed I am a winner. Thanks for the opportunity! Thank you MOnique for the great review. I have the DS CD which just makes me crazy w/frustration that I gave up on that. I know there's so much more I can do with the machine and just haven't figured it out and give-up and put it away...I think I need this DVD! I got one for my friend for Christmas to go with her new cricut. she loves it. I want one now. This video sound great! I can always use some good tips! I would love a copy of this DVD. Thanks for chance to win. I'm LaShaun on cricut messageboard. Your review was great and it made me want to get the DVD even more! Okay, here i am to try for #2. If I don't win on either posts, can you tell me how I can purchase the DVD? Thank Monique. I've been curious about this DVD. Thanks for reviewing it! Now.....I really want this DVD. Thanks for the great reviews!! THANK YOU FOR FINALLY doing a review!!! Now that I've read what the DVD is about... it would be GREAT to win one!!! I need it cuz I've used my gypsy so much I can't remember how my bug works.LOL!! I would LOVE to win this DVD - thanks for the chance! This is a really great review!!! It is very thorough! I already have the dvd, so I don't need to win it. it is a great DVD! Wow sounds as if we all could use one of these! Looks great! It's good to know that I can learn some advanced skills beyond the dvd already included with the cricut. I also have read alot and was curious if it was good, thanks for the review and the chance to win it!! I have 3 friends who are new to their Cricuts and I would love to sit down with them and watch the DVD so we all can learn something! Great review Monique! Thanks for an awesome giveaway! I got my first cricut machine an expression yesterday and happen to fall upon one of their videos on you tube and I have to say it was great to watch. I would soooo love this dvd to help me understand all there is to learn (no such classes here in the UK). Thanks for the great review and if your that impressed as the cricut expert then wow what would I be lol. I need to watch this DVD; brand new at the Cricut and I have questions everyday! Your review really makes want this. Thanks for reviewing this for us, I have been wondering if it would be worth it for me to get. Now I know I need it, I hope I win it!! Thanks! Great review, I just may check this dvd out, it would be nice to have all that info in one place, instead of a million bookmarks. Wow. Thanks for the review. I've heard of this DVD but don't own it yet, obviously. Thanks for the chance to win it. I have very much thought about this DVD but wondered if it was something I needed. I heard about the Gypsy one too and will probably most definitely get that one so I can use it to its full potential. Thanks for the chance to win a free copy. i have only heard positive comments about this dvd and your review confirms that...there is a huge need for this dvd as while there are fab creations on the message board you can tell there has been very little exploring about the layering, icons and even the fonts or phrases that are on the carts! tfs!!! Thanks for the review! If it does all that you have seen and talked about. I am missing out. I am still learning something new each time I use my cricut. Thanks for the chance to win. I have liked everything so far that ABS has done. Regardless if I win or not. I will be getting this dvd. GREAT review and Thank you for the opportunity to WIN one!!!! ...and 2 thumbs up to you for offering this awesome RAK to us! Thanks for the chance Monique! The dvd really is awesome. I already have it but would love to win a copy for my friend. Thanks for the giveaway. I wasn't too sure I was interested in this DVD but after reading your review I think I need to have this! Thanks for the chance to win one. Thanks for the review. I would love to win this dvd. Thanks for the chance!! Thanks for the review. I would love to win this dvd. Thanks for the chance. Pick me! It's my 50th birthday on the 9th and Ineed something to cheer me up! LOL! Just kidding! I'm 50 and proud of it! THanks for this offer, and for the review!! I have and LOVE this DVD!! Megan does a fantastic job of packing lots of information and projects in!! By the way, I love your blog too!! Excellent review! I have yet to see the dvd but I hope someday to see it! Thank you for sharing! Monique- Thanks for doing the review! Really excited because now I can order it! Great review!! Love your layouts too!! I've been thinking about this video maybe it will just show up??? Hope this isn't a double post but I'm not seeing my original. Would love to win this RAK, thanks! Your review makes me realize all the more that I need this DVD! Thanks for sharing! Thanks, Monique, again for your honest commentary. It is so appreciated. I just ordered this DVD because, as you said, I have no idea how to really use my Cricut to its full potential and don't know how to use the books that come with the cartridges. I would still love to win one of these DVD's because I co-chair a scrapbooking fundraiser each year for my son's Cub Scout Pack and have a number of fellow Cricuteers who would just love this. We are all fairly new to the Cricut and could use a little help with our creativity. Thanks for sharing your thoughts and for the blog candy. Wish I were in CA with you, not just because of your great classes, but we will be weathering a big winter storm this weekend out my way. I hope I can get to a big crop I signed up for on Saturday morning!!!! Thank God for All Wheel Drive (AWD). Let's hope it stand up to its name!!! Yippee! Great review as always! Good review! I've been on the fence because I've got the Cricut functions down but now I want to see it, lol! and all your great ideas. I am so excited to hear this is a great DVD...I have been wondering if it was worth it or not! Nice to know it is! Hope I win one and if not I guess I will be buying it and can't wait for the gypsy one! Great review. I'd love to win the dvd since it's so in depth and I'd love to learn all the ins and outs of my E!!!! I can't wait to get this DVD after your review. This is a great review! I would love to have this DVD to give myself the opportunity to learn more about using my Cricut. Thanks for this opportunity. Oh, wow! I've visited their site a few times, but I'm thinking the video would be great to have. Can't wait for the Gypsy DVD. If YOU got something out of the DVD, then we all have something to learnLOL. I don't have the DVD, but from your review it looks like an invaluable resource for any Cricut owner. I think I need one -- thanks for the chance to win it. I've been seriously thinking of getting this dvd and now after reading this review I think its a must have. If I don't win one I'll have to go buy it. Thanks for the chance! Sounds fabulous!! I could use more tips on how to use the cricut! I'll pass on the A-Z Cricut DVD but only because I already have it, by the way I love it. It's like everything I know about Cricuting, I learned from Monique & Megan. I defiantly will be one of the first to get the Gypsy one. Oh, I need this DVD. I am still so intimadated by my Cricut....this would really help! Oh my gosh, Monique -- your review has sealed the deal! I REALLY need the Cricut A to Z and cannot wait for the Gypsy DVD. Thanks so much for this opportunity to PERHAPS win one. I am definitely very interested! I am a new Cricut and this would be awesome to win!! Thanks for the review - I've been debating on getting a copy. After reading your review, I'll definitely be getting one - that is, if I don't win it from you first. :) Thanks! Thanks for your review Monique! I was lucky enough to meet Megan as well and she is very sweet. Hopefully I can win the dvd here and learn some new stuff! What a great review. Sounds like something I could realy benefit from! Thanks so much for the review!!! Thanks for the review. Now I know I want to get this DVD. Thanks for the review Monique, I'll take your word for it!! WOW...sounds like a great DVD!!! I would love to win it for my BFF...she just got a bug for Christmas!!! I have heard so many good things about this DVD and want a copy so badly!! Thanks for this opportunity to win it!! would love to win a copy of this dvd!!! I'm a newby with the cricut, so this DVD would be so useful. That sounds so good, and really exciting. Loved your review, it made me wanna have it!! 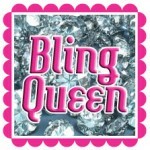 Hi Monique, I will have to thank Megan at above rubies for passing your details of your fab site. Will be back for sure. I hope to to purchase or be given my first cricut v soon so would love the DVD. Thanks for the detailed review...now I want to get this even more! I'm so glad you meet Megan G. I don't have this DVD but would like to have it. Just like others I barely use my "2" cricut I have. Why? Because I don't know all that it can do. I waste so much paper by trying which depth, speed and ect. I need the input. The Cricut didn't come with much directions. Any I hope I win. i'm still trying to win one. Monique, are you going to be a Ruby's designer? That will be awesome. I do too like Megan's hard work and drive. I do not own one but will love to, so wish me luck. I have been using my cricut for months now and still haven't made a beautiful card like the ones I have seen! Maybe I need this DVD!!! Thanks. Wow! I didn't know there was a DVD out there! Thank you so much for letting us know that it is worth buying! With that kind of review,I'm going to have to put this my wish list! Did not know about this DVD prior, just like a lot of the other products, until you! Thanks Monique! Thank you so much for the review! I have been looking for something comprehensive like this to learn more about my Cricut, I get so frustrated at times. I will most certainly buy one as soon as I save up the money, unless I win one on Monday of course!!! I haven't received my cricut yet...still in transit:( I would love to win this DVD! Thanks Monique! wow that was a glowing review, makes me want the DVD even more! My 11 yr old DD would benefit greatly from this DVD, she got a Create for Christmas (I didn't share my E very well) and I'm sure I could learn a thing of 2 from the DVD as well. I have my fingers crossed! oh boy, I received a cricuit expression for Christmas and still haven't taken it out of the box because I have NO idea what to do with it, or how it works. My husband purchased it for me as a gift, a gift of which I didn't ask for which is why it's still in the box, lol. He meant well and I love him for it, but really how do I work this thing???? I would love a CD like this! I found them recently on Youtube and have been wondering about the DVD... thanks for reviewing this. This dvd sounds perfect. I've had my Cricut for awhile but am a little afraid to try too many things with it. Thanks for the chance to win. I'm happy to be a follower of your blog. This sounds great. I never heard of this DVD. It would be great to learn all that my Cricut can do! This is great. I never heard of this DVD. I would love to learn all that my Cricut can do. I've learned a lot by watching Megan's videos. Would love to get the Cricut A-Z video. I know my cricut has potential I haven't even explored yet. THans for the review. Great review! TFS and for giving us a chance to win a copy. 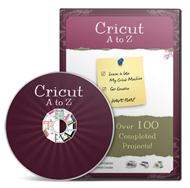 The Cricut A-Z DVD is worth every penny and more! It is the most comprehensive Cricut tutorial on the market. A must have for any beginner or advanced Cricut user! Thanks for the chance to win. The DVD sounds great. I would also like the Gyspy one! I agree that Provo Craft needs to include this in the box. We needed to be better educated when we bought the machine to use it in the best ways possible! This sounds like a wonderful CD and one that I may just have to get not only for myself but for a few other people that I know that have cricuts. Thanks so much for the review. i cant wait to get the gypsy dvd. thanks. Woohoo, Go Meghan! Thanks for the chance to win! If I can't make it to one of your classes this would be a great "class at home". Thanks for this great giveaway!!! Pick me!!! Thanks for the great review. I have been following Megan for a while now and it sounds like her CD is a hit. It's always good to get an impartial review though so thank you.My CBM name is clairepetillo1. Here's hopin' I win cross fingers. I am so excited that the give away is THE DVD.I have not bought it yet, I'm hoping I win one.. 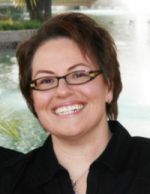 It sounds like an awesome information tool.I love your blog,I am now following it and I so glad I am!! Thanks for offering a give away!! Thanks for reviewing the dvd. I have had it for several months and is still learning. It would be good to win a copy so that I can gift it to one of my scrappin' buddies. Thanks for the review. I have just found the dvd online and I have been wondering if I needed it. You made my decision for me, I've got to get it and preorder the gypsy dvd that will be out this spring. Wow. I really want this DVD now. I just found your site (thanks to the plug on ARS) and I am now a follower. Your blog and designs are wonderful! I am glad I found you. Great review! Hope I win...maybe I would actually start using my Cricut!!! I just let my friend "barrow" it last night. What a great review. Thanks for the opportunity to win. I have had my Cricut forever, but really don't think I have explored what all it can do. I'd love to have a copy of the DVD! THanks! Great job on the review. I really like your blog. Found out about it through Above Rubies Studio. Thanks for the chance to win. I have the DVD and love it. I did know about a lot of it but there were some awesome new info. I teach cricut classes and this will be wonderful for the Beyond the Basics class. Its great to know your review on this dvd. It helps to know before you fork out the money that it is going to be beneficial to me. Ive wanted a cricut for a Very long time and finally was able to save up to get one this christmas. Im LOVING what I can do with it but know there is ALOT more I can learn! Thanks for your consideration! You are by far my favorite to follow for inspiration! Thanks for the review. I have been wondering if I should get a copy. It would be great to win one. Definitely need the Gypsy AtoZ! Wow, I have considered ordering this, but winning would be ohhh so much better! I have been trying to decide whether I really need the DVD. You have convinced me that it would be useful to me. I really now want to get it. Thank you for the great review. Awesome review! I don't have the DVD, but I love, love, love all of Megan's work! I have been wanting to get this DVD but with limited funds these days was afraid I would be waisting my money. Thanks to your review I think I will purchase it. This DVD sounds even more great after reading your review. Would love to win it. Great review! I definitely need to get this DVD! I've been trying to decide which one to get, but after your review, I know it is this one. Thanks! I just may have to get this dvd! Sounds good. Thanks so much for the review, very helpful - I will have to get this DVD! I would love to win this DVD. Have wanted it for a long time. I would love to win this DVD. I am still new to the cricut and any help I can get is always appreciated. Hi, just came over from Above Rubies Studio to read your review. Great job! and it looks like I will need to be following another blog. Gotta go check out the rest of your blog! Thanks! I have the DVD and it's everything you say it is and more. No doubts about what to do or how to do it. This DVD tells you exactly how to use the cricut clearly. They should package this DVD with every Cricut they sell! They would be providing a huge service to their customers. I woulde love to win a copy fo this video so that I am getting the most of out my new cricut!